This book was provided to me by St. Martin’s Press via NetGalley for review consideration. As a kid, very few things frightened me more than the thought of the Headless Horseman galloping down the hill in my neighborhood (blocks from one of the busier intersections in Omaha) while I was on my way to my grandparent’s house. As an adult, I have read Washington Irving’s story and have heartily enjoyed various adaptations of the story beyond the Disney short. 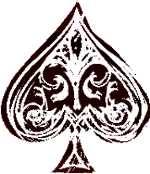 And since I’m not completely heartless, I thought the story with a romantic twist might be fun for the upcoming season of spookiness. Erin Bow has written one of my favorite posts ever about book reviews. She wrote it from the perspective of a writer reading reviews, but I like to keep her thoughts in mind when I’m a reader reviewing books too. And I thought a lot about the concepts of cilantro and werewolves while I was reading The Spellbook of Katrina Van Tassel. In Bow’s parlance, a person’s reaction to cilantro is a matter of taste. Some people just don’t like cilantro. The same goes for book genres. Generally, I’m not a big fan of YA romance, supernatural or not, but there are exceptions. In fact, the biggest surprise of the year for me was how much I enjoyed Maggie Stiefvater’s All the Crooked Saints. It was a book I probably wouldn’t have read if I hadn’t won it in a contest. So I knew going in that The Spellbook of Katrina Van Vassel wasn’t in my ideal choice of genres and I was ready to make allowances for that. But still… Ichabod and Katrina were just *so* perfect together. Everyone (other than Brom and Katrina’s father) loves them both together. Isn’t a protagonist allowed to have flaws? And for a being social outcasts (due to Brom’s insensitivity), Charlotte and her mother seem to do pretty well…aside from being shunned at parties. Also, everyone has a ton of free time and older adults are miraculously absent from goings-on. It was many of the things that I (perhaps unfairly) pin on the YA genre. To return to Bow’s thoughts on reviews, the concept of werewolves is this: a reader brings their own agenda to a book. “This biography of Teddy Roosevelt was pretty good, but it didn’t have nearly enough werewolves in it for me.” Obviously, werewolves in a nonfiction biography of Roosevelt is an unfair expectation. 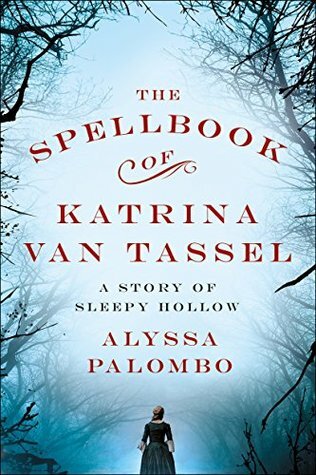 I don’t think I am being unfair when I expect a book called The Spellbook of Katrina Van Tassel, set in Sleepy Hollow, released in October to have some strong supernatural aspects. And this story really doesn’t. There are some dreams and visions and a bit of off-scene action that we are meant to take as supernatural. Mostly, this book is a star-crossed romance that is eventually complicated by a missing person mystery (that no one bothers to really investigate until two years later). The actual spellbook of the title is the book of regional lore that Katrina begins to write as she is Ichabod-less and trying to find some joy in the second half of the book. It’s a very nice metaphor, but not what I was expecting. I feel like there were many opportunities when Palombo might have taken the story in a direction that might have resulted in more tension in the plot, but those are werewolves that I shouldn’t bring into this book. If you’re looking for a romance between two young people in sort-of 1790s New England with a little paranormal pumpkin spice seasoning, The Spellbook of Katrina Van Tassel might be the book for you. If you’re looking for a story that veers closer to the more recent movie or television adaptations of Washington Irving’s “The Legend of Sleep Hollow,” gallop past.